"I am so sorry to hear this! 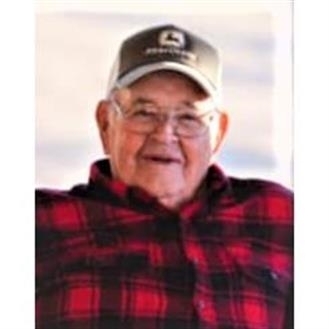 Todd and I will continue to..."
"So sorry to hear about BOB, Our prayers are with you &..."
Funeral services for Robert Andrew "Bob" Fields, 86, of Troup, will be held 2:00 pm, Tuesday, April 9, 2019, at First Baptist Church of Troup, with Reverends Joe Ballard, Steven Oakes and Jim Goforth officiating. Burial will follow at Rucker Cemetery, Troup. Arrangements are under the direction of Cottle Funeral Home, Troup. He is preceded in death by his parents, brothers, Morgan Miller, Richard Fields and sister, Maurine McMichael. Survivors include his wife of 61 years, Alice Fields of Troup; children, Randy Fields and wife Lecia of Troup, Scott Fields and wife Lorinda of Troup and Seleta Fields of Troup; 9 grandchildren and 10 great grandchildren. Pallbearers will be Michael Bender, Morgan Bender, Michael Dillon, Draper Murphy, Richard Lacy and Chris Hall.